Bitter gourd also known as karela is a common vegetable used extensively in India. Although bitter in taste, it has some amazing medicinal properties. It contains insulin like principle, designated as ‘plant insulin' that is beneficial in lowering the blood and urine sugar levels in diabetics. Karela juice is considered an essential part of the diet in those having diabetes. It is widely used in alternate systems of medicine for curing a wide range of disorders. 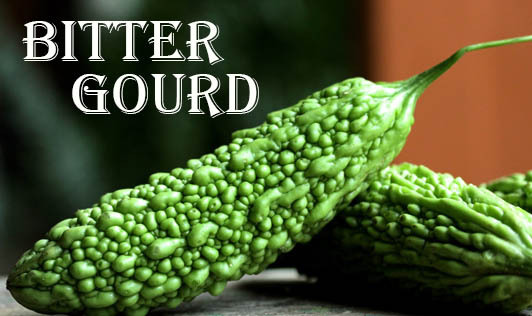 Bitter gourd is a good source of vitamin A, B complex vitamins and Vitamin C. It is a low calorie vegetable with negligible amounts of fat. It is generally cooked and eaten as a vegetable, but can also be used in pickles and curries. Steeping the peeled fruit in salt water before cooking reduces its bitterness.